The main project that I took away with me on our crafting weekend was my English Paper Pieced (EPP) hexagons. I had all kinds of ideas how I was going to arrange them all, but in the end it was 99% laziness which prompted me to make the decision to go for a random arrangement. I'm glad that I did! The next decision is going to be what colour to use for the background. At the moment I'm vaguely thinking cream, but that will probably change when I start auditioning fabrics. I reckon its going to be a pretty awesome cushion. The large design will go on the front, the small flower on the back. I was originally going to make the cushion square, but I am now tempted to make it circular. Hmmmmm... decisions decisions!!! This is my first attempt at EPP and I must admit that I'm loving it- especially the portable nature of these kind of projects! Have you done EPP before? Are you a fan or is it too much work and hassle for you? 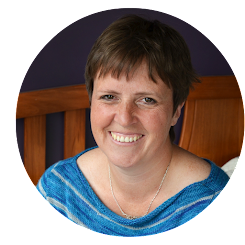 I'm linking up with Lee of Freshly Pieced- I wonder what everyone else has been up to?! Your hexies look great! I like EPP for in between times - when you want a low-impact sewing task and hand stitching seems just the thing! Planning on giving it a go this weekend at our MQG Retreat. I've only dabbled a bit after a demo at a Quilt Show. Love your random layout. That's exactly what I've been working on this week as well, haha! It looks great, I'm sure it'll be a splendid cushion! The random arrangement looks great :) I think cream fabric would work really well, but I look forward to seeing the outcome of your fabric auditions! It looks great! I love EPP too. I just tried it for the first time a few months ago, but I love that it's a project I can take with me or work on while I'm hanging out on the couch with my husband. Cream or a purple to match the one in the pink hexis would look wonderful! 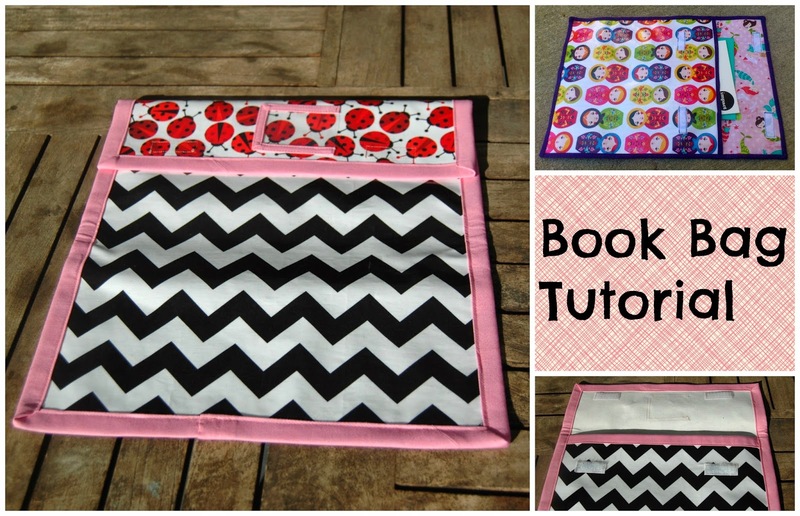 I have yet to try EPP but its definitely on my list! They are lovely - they will make a great pillow! 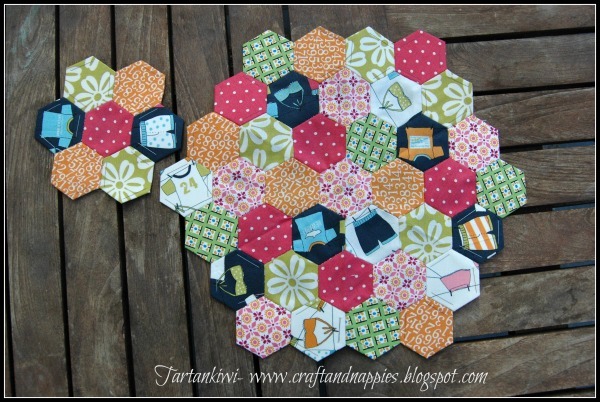 I love the fussy cut hexies! How neat. Love your hexies! Looking great. Gonna be a very cool cushion! How about a dark grey plain or black and white dot for the background? The brighter colours will 'pop'. Round sounds great. BTW I have some days off now (phew at last) so happy to get together with you for the other quilt I said I'd help you with. My email not working properly atm - I can receive but not send aargh! Looks fab - I really like the randomness. I've never done EPP but I did just receive some hexie papers and have cut a few 2.5x2.5" squares to give t a try. I think round would be great for your pillow!